Last year, I went hands-on with Anshar Studios’ ‘Detached’; a VR space exploration game. I was highly impressed by the experience, so I was excited to take a look at their latest project, ‘TeleFrag VR’ at this year’s show. I’m a longtime fan of arena shooters like Unreal Tournament, Quake, and Doom. I’d never imagined having a fast-paced arena shooter experience in VR, but I’m glad that it now exists. TelefragVR features all the bells and whistles you’d expect of a traditional arena shooter including gnarly weapons, power-ups, and swift traversal. I went head to head with a fellow PAX attendee and managed to prevail. During our action-packed match, I blasted him with a rocket launcher, heavy pistol, and a fully automatic rifle. Weapons feel great to fire, and though traversal is currently a bit nauseating, it’s a ton of fun to teleport, dash, and scale up and down ramps around the map. 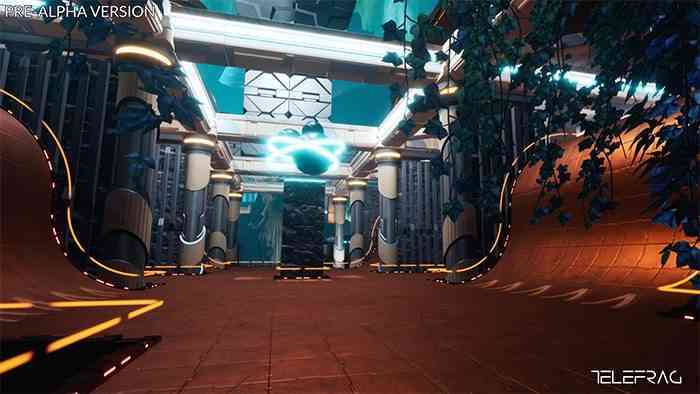 TelefragVR’s development has only just begun, but it feels promising for VR and arena shooter fans alike. Easily the most adorable game I experienced at the show, Bee Simulator places you in the role of a bumblebee on your first day working for the queen. 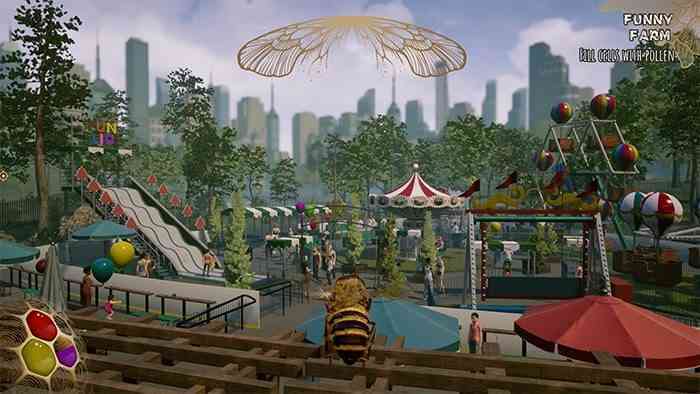 You explore the park surrounding your hive as you collect pollen, participate in races, and battle enemy insects. You soon find out that the state of your hive is threatened, and it falls on your wings to save your family from destruction. The game is designed for children and families and features three individual modes. The single-player story follows the quest of protecting your family from ruin, exploration mode allows you to explore the park around your hive, and split-screen mode features an additional area for both cooperation and competition. Varsav Game Studios have crafted an arcade-like experience akin to Spyro and Ratchet & Clank in a realistically designed setting that’s fun for the whole family. 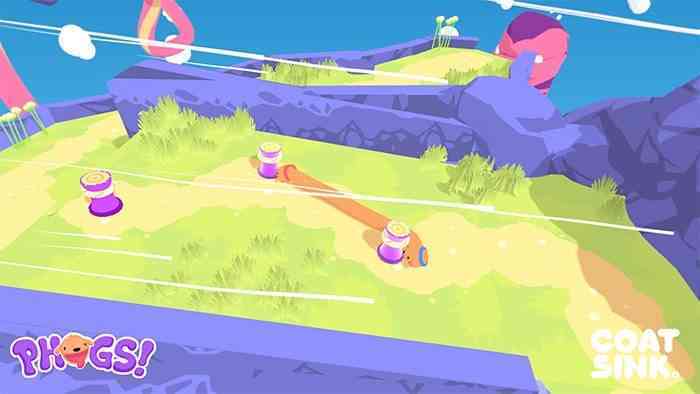 Two dogs attached to each other like that of a snake take part in a series of physics-based puzzles scattered across a bright and colorful world in Phogs. Developer Bit Loom in collaboration with Coatsink has whipped up quite the intriguing puzzler with this double-ended pup. The world is beautiful, charming, and a whole lot of fun to wiggle around in. I fondly admire the controls for the game. Either stick of the controller moves either side of the dog. Combining the two enables you to feed giant worms, grow jumpkins, herd munchlets, and assist creatures in need. It’s funny to behold and feels great to stretch around each map solving the various puzzles. There are over 30 levels spread across 3 themed worlds full of secrets, collectibles, and bosses. A digital release is headed to unspecified platforms in 2019. 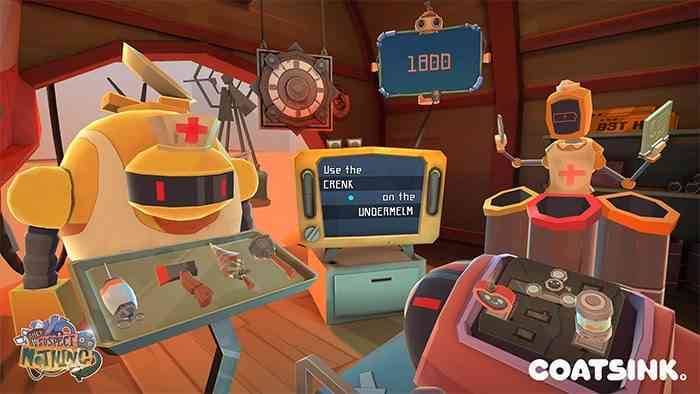 Developer Coatsink’s ‘They Suspect Nothing’ is one of more amusing VR titles I’ve played in quite some time. You’re the last remaining human on the planet, and your goal is to blend into a robot society that challenges you to complete a series of human detection tests. The tests come in the form of mini-games like rocket tennis, a game similar to Hungry Hungry Hippos, and ten others I wasn’t able to spend time with. Both of the games I experienced were pretty simplistic in design but were undeniably fun to play. Gameplay feels excellent overall, and the voice cast is hilarious. I can easily imagine my buddies and I passing off the controller to compete in games. They Suspect Nothing is available now for Oculus Go. These are merely ten of many other awesome indies we got our hands on at PAX West 2018. For more from the show, we have an extensive list of previews and features on the site available now. New Borderlands Teaser Sure Does Tease!